This is our reference NY-16584. 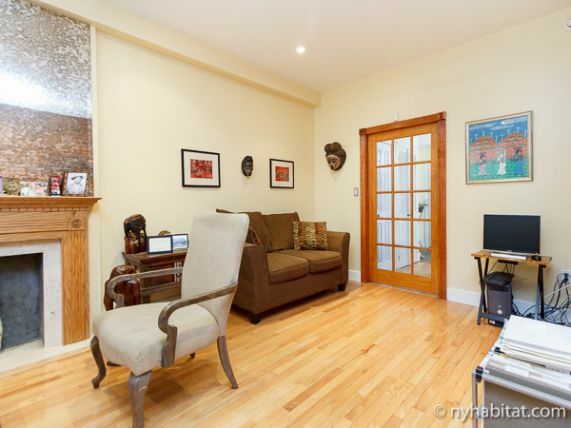 Welcome to Brooklyn in this private room for rent in Bedford-Stuyvesant. 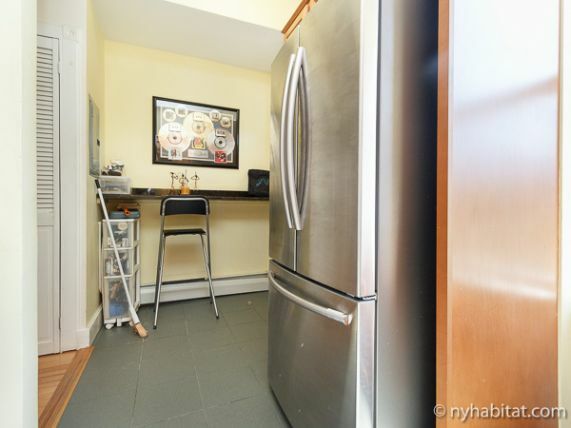 Located on Bainbridge Street &amp; Patchen Avenue, this room is situated in a two bedroom apartment in a townhouse, with access to a shared garden. 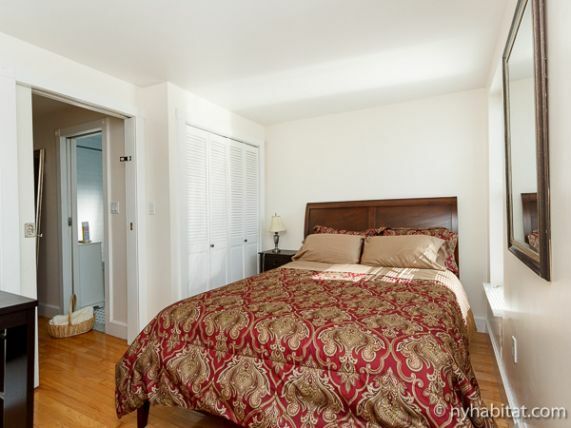 Please note that this is a private room for rent in a shared apartment. 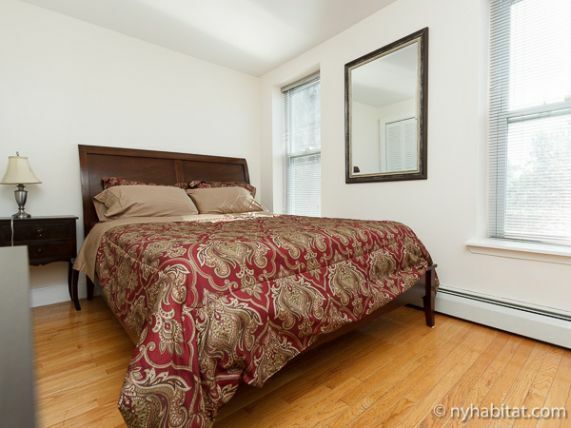 The bedroom is private, while the living room, kitchen, and bathrooms are shared with roommates. The access to the Living Room in this apartment is limited. Bedroom 1 is your private room for rent. It has hardwood floors, two large windows, and is furnished with a queen-sized bed with bedding, a desk, side table, and large closet. The living room is equipped with hardwood floors, a sofa, an elegant decorative fireplace, and a large flat screen TV with cable. 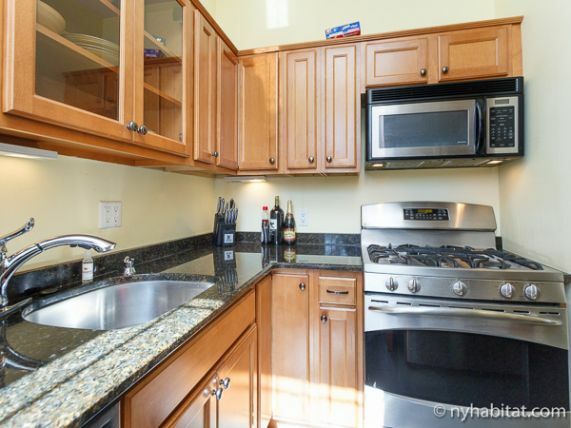 The kitchen is separate and fully modern, equipped with a fridge/freezer, dishwasher, toaster, microwave, oven, and plenty of cabinet space. 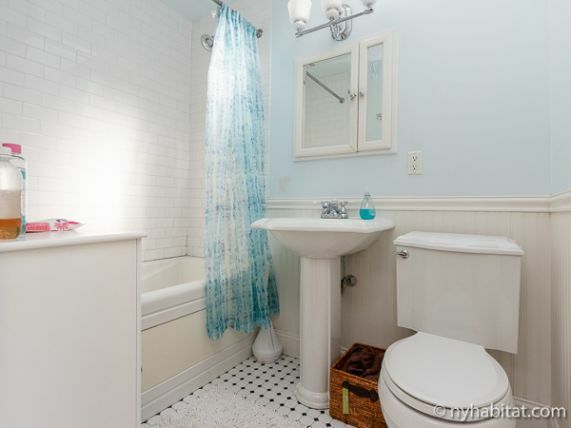 This apartment has the convenience of having two bathroom: one full bath and a separate half-bath with toilets. 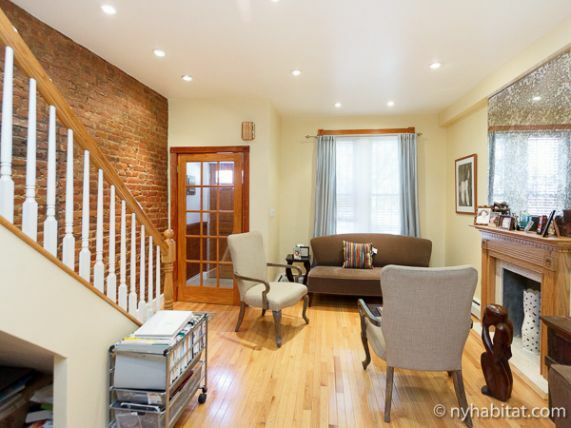 Tenants will also enjoy a fenced-in backyard that is shared with the downstairs apartment in the building. The subway at Ralph Avenue/ Fulton Street (0.4 mi/644 m) will connect you with the C line, and the subway at Utica Avenue/Fulton Street (0.4 mi/644 m) connects you to the A and C lines.